Abandoned railroads make great trails. Got the chance to “thru-hike” a developing one today – the Dahlgren Railroad Heritage Trail in eastern VA is currently permit-only, and almost 17 miles long. 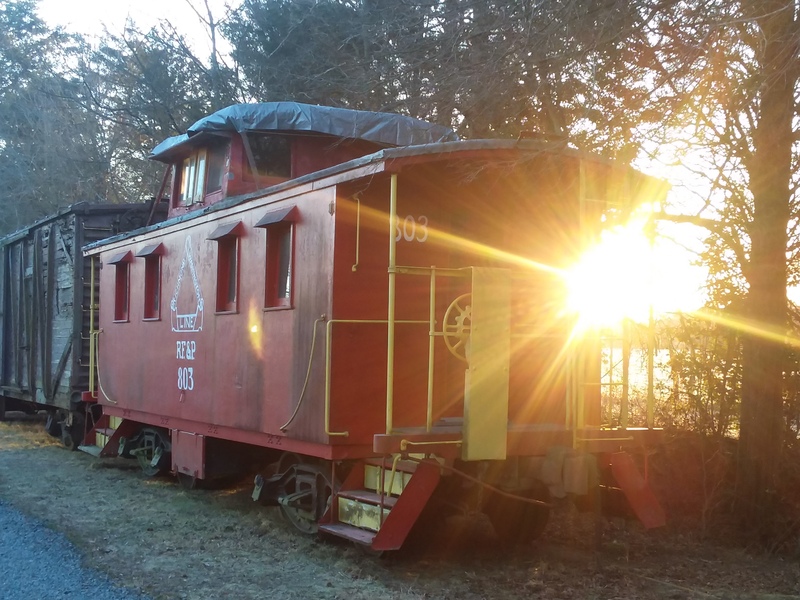 It has some beautiful remote sections, and ends with this old Richmond, Fredericksburg and Potomac boxcar and caboose at its west end in King George! Agree there’s something romantic and nostalgic about some of these routes and it’s tough to see them vanish. It’s a good thing that it is fairly easy to reclaim the land, at least.